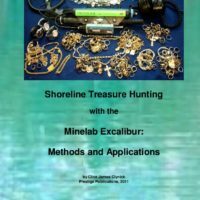 • how understanding BBS detectors can increase your treasure hunting accuracy and effectiveness. • tuning: the “Salt and Pepper” method. • understanding the Excalibur 11. • coil control methods for identifying targets. • audio tips and methods. • recognizing gold, alloys and foils. 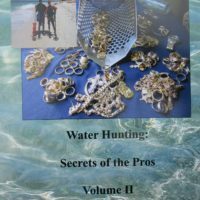 • top hunter “Goldinwater’s” high-power system. • using “ground noises” to identify targets. • gold and the discriminate control. • understanding “out-of-range” responses, “nullouts” and “returning” signals. • high-accuracy “Reverse Hunting” with the Excalibur. • modifications, maintenance, basic repairs and troubleshooting. $19.95 (120 pages, 8.5 x 5.5 softbound). 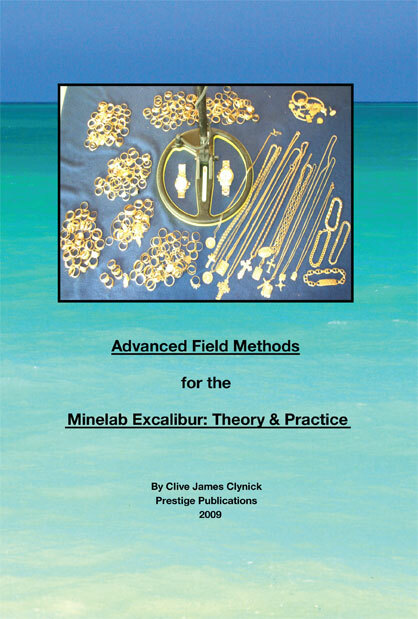 …Clive James Clynick does an excellent job explaining the difference in the sound of gold from other metals you might encounter while detecting with the Excallibur. …Get them all. All his books are well worth the money. 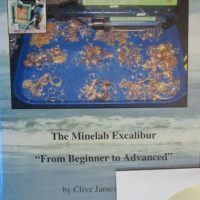 Clive is the man when it comes to the Excalibur….. I swear because of CJC my gold count is what it is. His writings on the Excalibur really opened my eyes to what it takes to find deep treasures.